The complexity of meter configurations has increased dramatically over the years. When multiple resources share a common transformer and/or common bus to the Point of Revenue Settlement, more complex solutions are required to accurately apportion system losses. 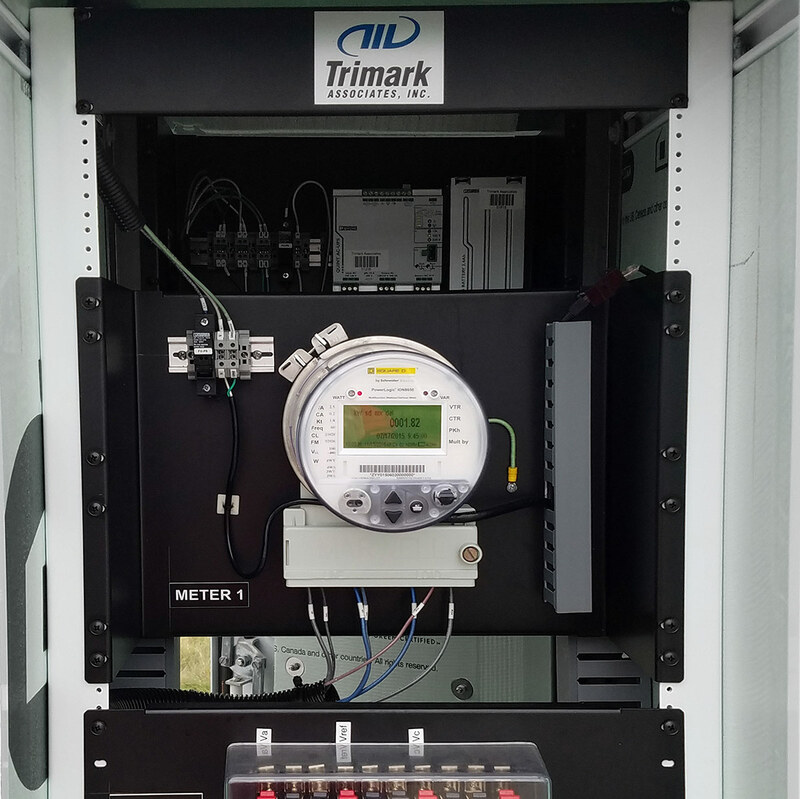 Trimark has developed multiple methodologies to address complex metering for accurate system loss compensation: peer-to-peer metering, individual meter compensation adjustments, and Trimark Dynamic Loss Compensator. Sites may require the transfer of data locally between meters to adjust for load or auxiliary power consumption before reporting generation to outside entities for settlement. In these cases, Trimark has a variety of options for meters to communicate, totalize, and report data at a resource level to meet any PPA requirements. Some resources may be connected on a shared bus that creates complex loss situations across multiple resources or owners. When required, meters may need to communicate to each other across a data network to adjust losses based on generation of each resource. Trimark has implemented numerous variations of complex metering that are able to accurately and consistently spread or share losses across multi-site systems. 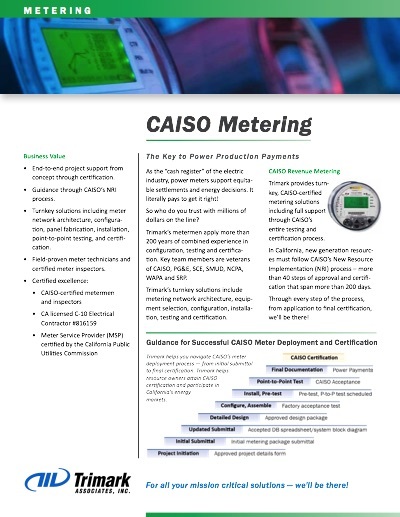 Some modern meter configurations are so complex that they are beyond the calculating capability of the revenue meters. 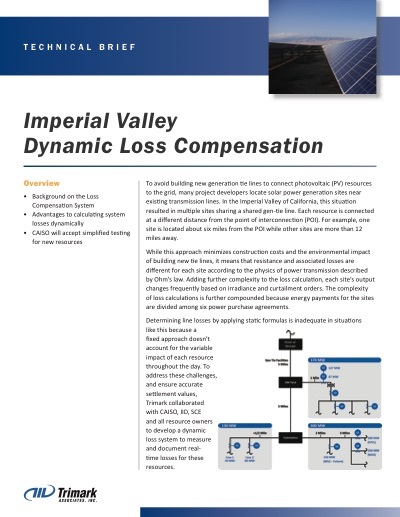 Trimark’s Dynamic Loss Compensator polls required data from all applicable revenue resource meters in the project, then calculates and apportions appropriate losses for each resource. The compensated data is then available for real time operations and revenue settlements. These dynamically calculated loss values have saved our clients hundreds of thousands of dollars. 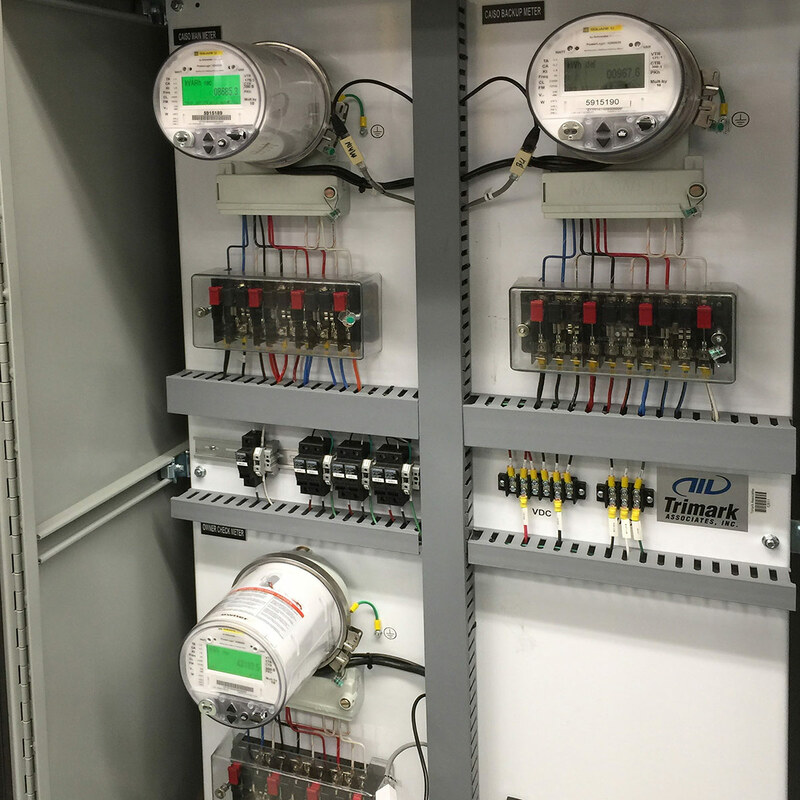 Trimark’s certified, turnkey metering solutions encompass metering equipment and guidance to successfully navigate every step of an ISO’s approval, testing, and certification process. Designed, assembled, tested and installed 1,500 AMI meters at main base locations and 1,300 sub-meters on Navy piers. Delivered 1,300 network panels with radios, switches, and secure systems. Data Acquisition System (DAS) installation supported 2,800 electric meters, 400 steam meters, and 500 water, sewer, and gas meters in 14 states. Provided, installed and configured 477 advanced energy meters at Pearl Harbor, Island, Smith and Hickam AFBs. 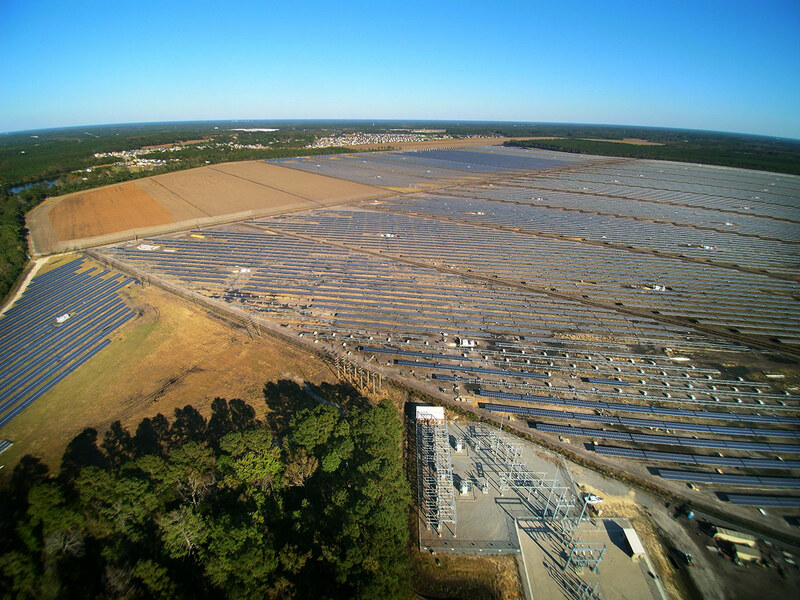 Project included configuration, testing, validation and commissioning of a data acquisition system which uses a secure communications network to collect data about energy consumption.